304 STAINLESS STEEL BODY / 420 STAINLESS STEEL MANDREL. Closed End design provide superior sealing. These all stainless steel high-shear blind rivets are the strongest stainless steel and have superior long term reliability. 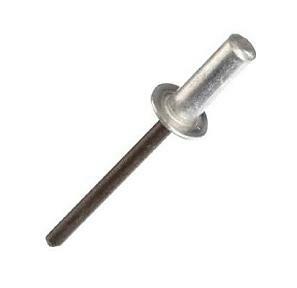 The rivet body and mandrel are meet or exceed IFI 114, Grade 51 specifications. Grip Range: 1/32 up to 3/4"